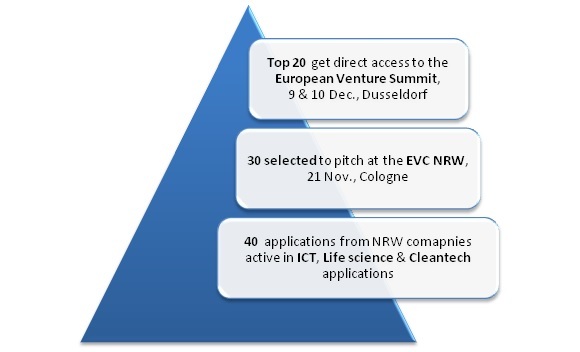 The European Venture Contest NRW in Colonge, Germany, on November 21, 2013, will unite 30 North Rhine-Westphalia innovative companies active in ICT, life sciences and clean and energy technologies. The entrepreneurs will pitch their innovations, developments and needs to a jury of business angels, venture capitalists, corporate investors and other industry experts. The top 20 companies will get direct access to the European Venture Summit (EVS), bringing together 120+ entrepreneurs and 120+ investors. Organized by Europe Unlimited with the support of its hosts and partners, this event convenes top entrepreneurs, investors and experts from all three streams. The program has been designed to enable knowledge exchange and business collaboration as well as to build an innovation network throughout Europe. 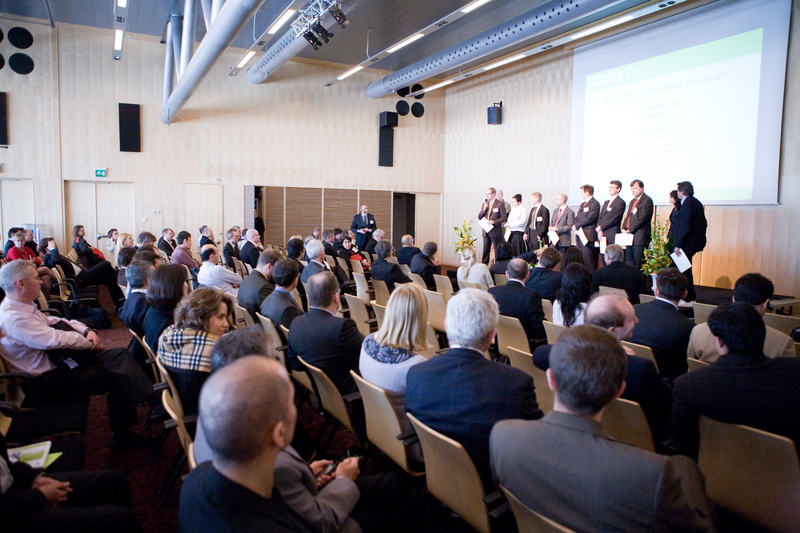 The event is part of the European Venture Contest (EVC) that finds the top 10 emerging companies through a Pan-European competition every year. The EVC is the only free of charge internationally-delivered venture competition and is specifically targeted at early stage high tech companies in ICT, Cleantech and Healthcare.